American DJ has a factory refurbished light for any situation, literally they have over hundreds of different lighting fixtures available from mild to wild . We have everything from Par Can lights for stages to moving head effect lights that are great for the club. Most American DJ lights support DMX for custom control and programming or sound activated modes that dance to the music. 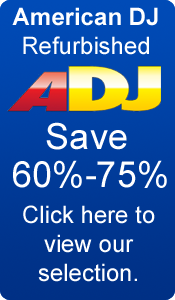 American DJ is well known for their commitment to quality and performance and of course cutting edge technology. 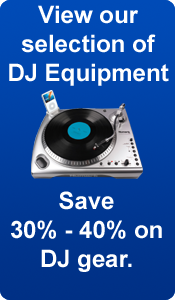 All of our factory refurbished products from American DJ are guaranteed with a 90-day warranty.